Tooth infections are painful. In many cases, they can cause the need to alter our daily lifestyle to deal with the pain, including limiting what and how much we can eat and our ability to think clearly in critical moments. Due to this, it is essential to try and prevent tooth infections from ever occurring in the first place. While on rare occasions a tooth infection merely is unavoidable, the majority of tooth infections can be prevented. The following are the five best ways to prevent tooth infections from developing. First and foremost, it is important to practice good oral hygiene when trying to prevent tooth infections from occurring. The best way to ensure good oral hygiene is being practiced is to follow a schedule consistently, consisting of brushing teeth several times each day in a thorough manner and ensuring any potential dental concerns are promptly treated by a dentist. Additionally, while brushing, it helps to brush the entire mouth - including the cheeks, gums and tongue - and not just the teeth. Another great way to ensure tooth infections do not develop is to floss and use mouth rinse every day. Many understand the importance of flossing and using a mouth rinse, but so few do so consistently. While flossing after each meal can be difficult to keep up with, it can be extremely helpful to simply floss once a day in an effort to prevent tooth infections. Also, using mouth rinse after brushing your teeth is very helpful as well. To take extra caution in an effort to prevent tooth infections, try using fluoride toothpaste and mouth rinse. Fluoride is a tooth’s best friend as it strengthens the enamel and gives enamel what it needs to fight off bacteria and acid attacks, which are generally a nightmare for dental enamel. Along with the benefits fluoride has with strengthening enamel, it also helps to kill any bacteria inside of the mouth that could otherwise cause a tooth infection. As mentioned, bacteria and acid are horrible for teeth. Subsequently, it is important to avoid foods and beverages that are high in sugar. If drinking coffee is a priority, merely brushing your teeth after having a cup of coffee is a great way to keep the mouth clean and healthy. Additionally, avoiding tobacco products - such as cigarettes and chewing tobacco can be very helpful in preventing tooth infections. Last but certainly not least, be sure to visit the dentist regularly for regular cleaning. In many cases, teeth may be damaged without any noticeable signs. 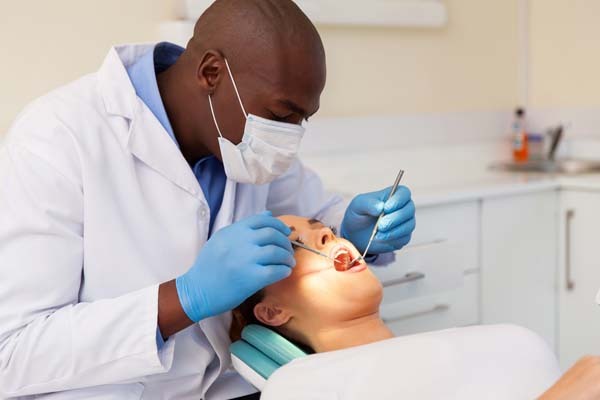 However, a dentist is likely to spot any potential issues during an oral examination or cleaning. Arguably the best way to prevent tooth infections is to visit a dentist regularly, which allows you to ensure there are not any troubling oral health concerns that have developed. Are you considering tooth infections treatment in the Albuquerque area? Get more info on tooth infections at https://familychoicedentistry.com.